The Royal Prince Alfred Yacht Club is proud to be hosting the 2018 Pacific Boating NSW & ACT Optimist Class Championship this weekend, 24-25 March, 2018. 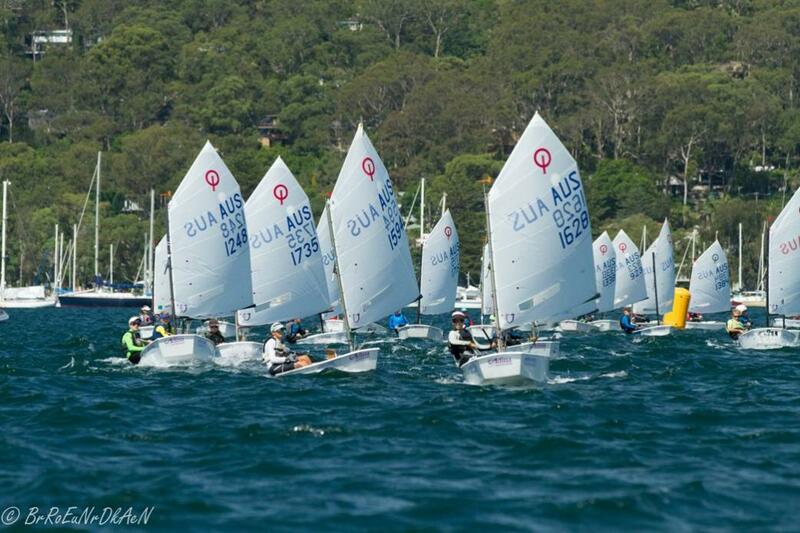 Over 200 competitors across three divisions are expected to visit Pittwater. Open and Intermediate Divisions will be competing on what the locals call the 'Big Pond', the area of water north of Scotland Island, ideal for One Design racing of all sizes. The Green Fleet will be sailing in the 'Small Pond', the area of water north of Bayview or south of Scotland Island. 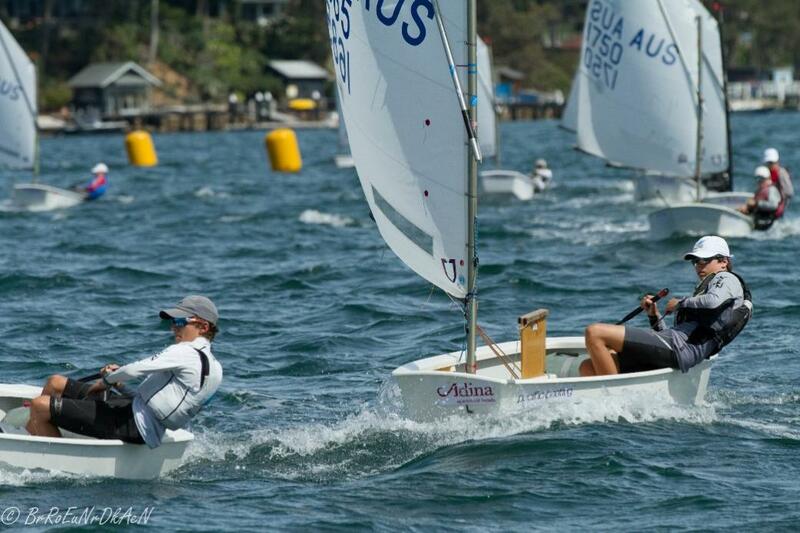 The current Australian Champion, Fletcher Walters is looking forward to showing visitors to his home waters what he can do, no doubt his local knowledge of Pittwater will be in play with the Pittwater winds always ready to throw in some unexpected surprises. Racing commences at 1230hrs for the Open and Intermediate Fleets on Saturday and 1100hrs on Sunday. Green Fleet under the Coaching eye of Thomas Spithill, Australian Sailing Coach of the Year and supported by RPAYC Instructors Max & Sam. For the many visitors to RPAYC, a welcome guide is available online here, which identifies boat drop off and storage areas, car parking, trailer parking and facilities availble at the club. For parents not on water the club is open from 0700hrs each day for Breakfast and lunch, and late afternoon with Halyards afternoon menu available, for competitors a sausage sizzle will run post race each day. The presentation will be held in Halyards post racing on Sunday. 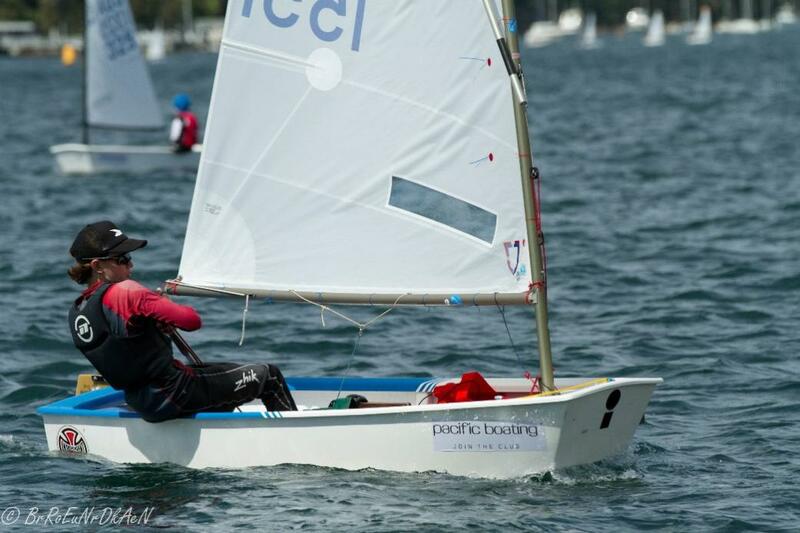 Thank you to Pacific Boating and Boatcrewgear for supplying a range of great prizes. With an event of this size brings many volunteers both on land and on water, a big thank you to all who have and will be lending a hand this weekend putting together this great event for the sailors. Results will be Text (SMS) to registrants and will be available online here. 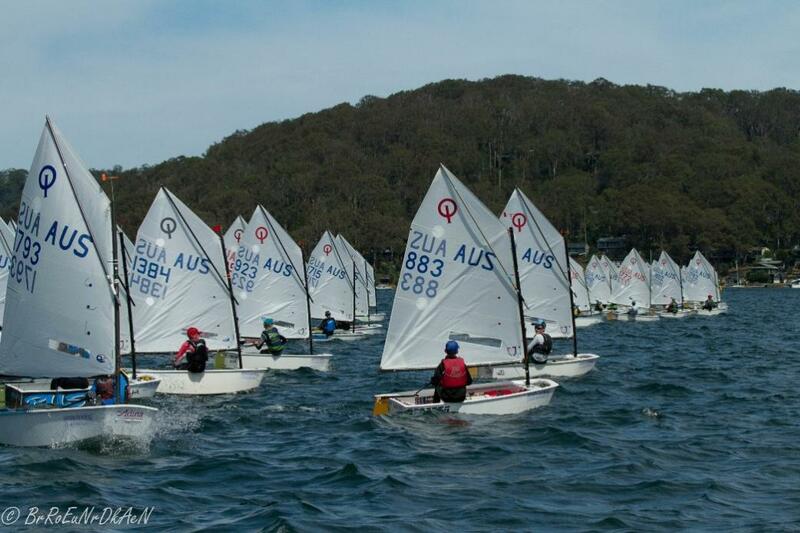 The 2018 Pacific Boating NSW & ACT Optimist Class Championship has commenced with 145 competitors enjoying a full day of competition on Pittwater. The day saw the breeze steady increasing and putting the pressure on everyone. 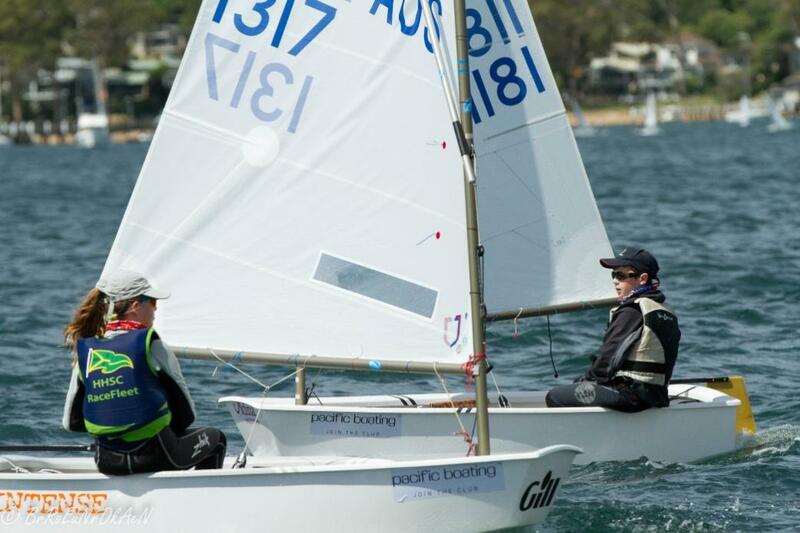 Open and Intermediate Divisions filled Pittwater with white sails which saw the current Australian Champion, Fletcher Walters battle it out with his fellow RPAYC member Daniel Links. After 5 races, Daniel has is wearing the yellow leaders jersey after day 1. The two traded placing for each race, with Links ahead on placings 1-2-3-1-3 (10 points), to Walters 2-3-1-2-6 (14 points) going into Day 2 followed by Finley Scade in third place (26 points). In the Intermidate Fleet Alba Falkenmire has take a clear lead ahead of the pack on 8 points after 4 races, in second is Caitlin Nash on 22 points. 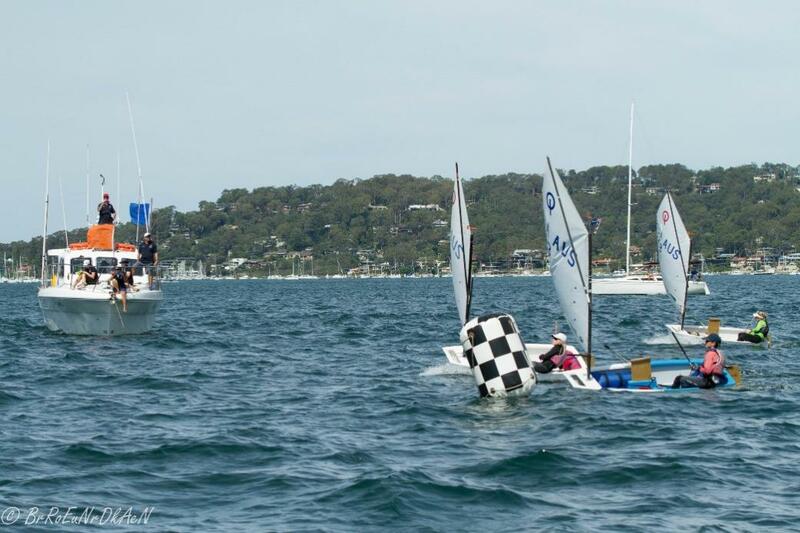 A fleet of 30 Green fleeters powered through 4 races today, with some pointers on Pittwater from RPAYC's Club coach Thomas Spithill all competitors crossed the line. Racing commences at 1100hrs for the Open and Intermediate Fleets tomorrow, with Green fleet soon afterwards. The presentation and post race BBQ will be held in Halyards post racing on Sunday. 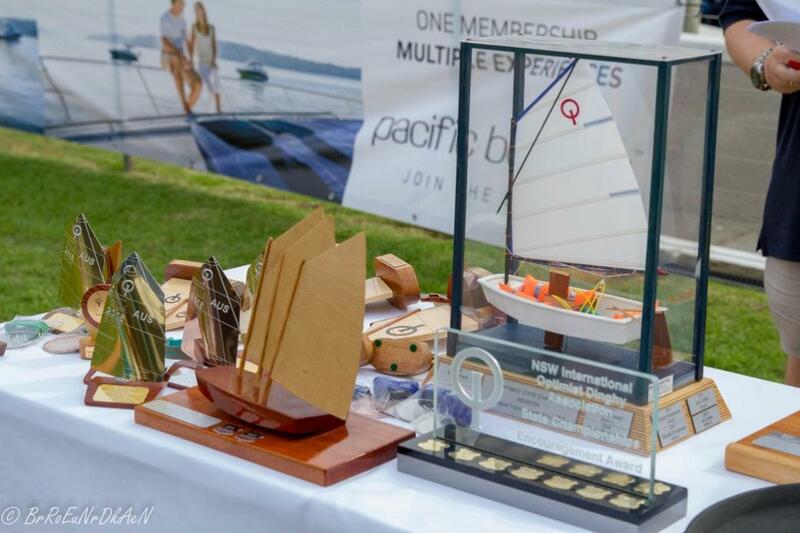 Thank you to Pacific Boating and Boatcrewgear for supplying a range of great prizes. Results will be Text (SMS) to registrants and are available online here. 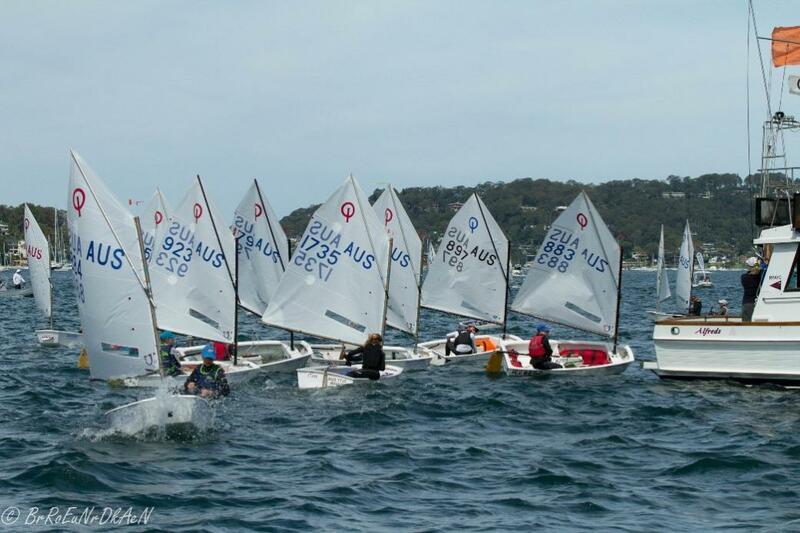 Day 2 of the 2018 Pacific Boating NSW & Open Optimist Class Championship saw the fleets take off, literally in the breeze on Pittwater. Racing commenced at 1100hrs today and a strong North Westerly was already set in at 15knots as the fleets started. Open fleet had three races to complete and Intermediate two. The Green fleet "got to take some of Pittwater home with them", said Coach Thomas Spithill, with the conditions testing the 30 strong fleet to the max. Albatross, Alba Falkenmire continued the ligthening pace shown on Saturday to take an unbeat lead, finishing in 1st pace with a 18pt buffer to 2nd placed Green Eyed Monster of Kye Rivers and 3rd place on countback was Pocket Rockect Ellen Murray. The Mighiest Muppet, Daniel Links was able to hold off Sketchy of Fletcher Walters by 4 pts to take the win in Open Fleet and the State Perpetual Trophy. 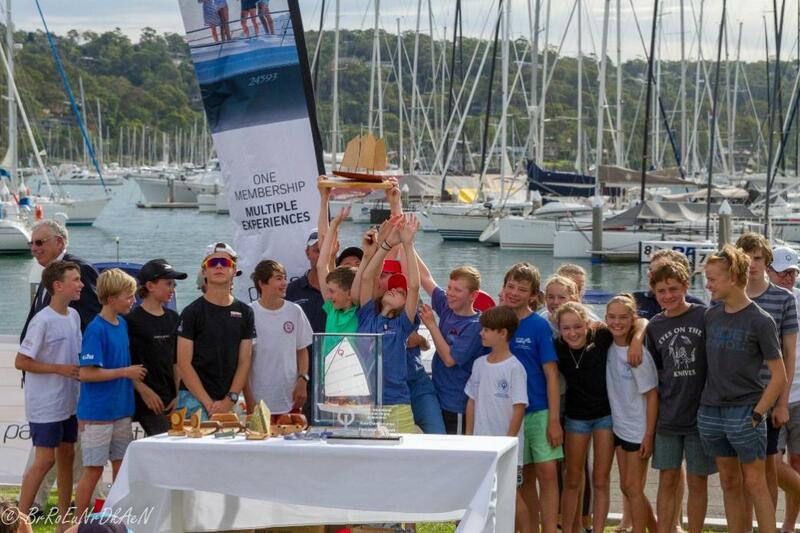 The 55 boat strong fleet powered their way around Pittwater over 3 races, finishing an hour ahead of the official time limit of 1530hrs for racing. A huge thank you to naming sponsor Pacific Boating for making the event enjoyable for all, Adina as the NSW IODA sponsor and Boatcrewgear for supplying and kitting out all competitors in the latest wears. Pre coaching for Green Fleet this morning for the 2018 Pacific Boating NSW & Open Optimist Championship . The Royal Prince Alfred Yacht Club - RPAYC is a yacht racing and sailing club based on Pittwater. The yacht club offers year round inshore and offshore racing, cruising, centreboard dinghy racing, sail training and courses plus has a large marina accommodating up to 352 vessels. There is also a modern boatyard with comprehensive marine services to help maintain your vessel. Membership, including family membership, is available.